Trade visitors to FRUIT LOGISTICA expo in Berlin in February voted this year’s Innovation Award to Dutch technology that delays pinking in fresh cut lettuce. 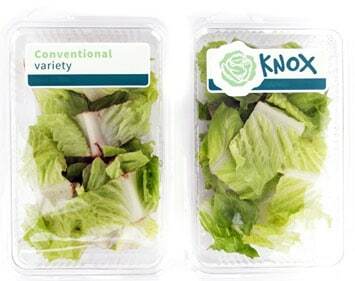 Developed by Rijk Zwaan Distribution, Knox is a natural solution which delays oxidation at the edges of a fresh cut lettuce, the natural wound reaction of trimmed cells, and which manifests itself as a pink-brown discoloration. This unattractive colouring leads to rejection by consumers and increased waste of products which are otherwise qualitatively unimpaired. Knox delays the pinking and thus prolongs the shelf life of cut lettuce by 1 to 2 days. Cos was the first variety with this new feature. Other varieties include Iceberg, Batavia, Butter, Salanova Crispy, Salanova Butter. In second place, FRUIT LOGISTICA trade visitors voted for The Cracking Monkey Pili Nuts from the German firm, Die Frischebox. The Vitamin E content of these nuts is considerably higher than that of other nuts. Pili Nuts come from the Philippines and are opened using the stainless steel nutcrackers supplied, which are made from recycled cutlery. 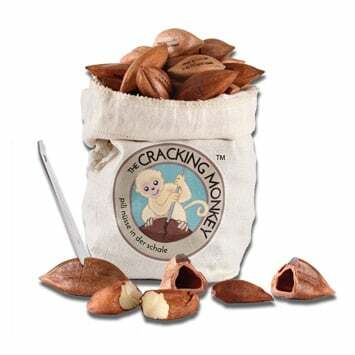 The nuts are delivered in an environmentally-friendly cotton pouch, which is printed with soya-based ink. 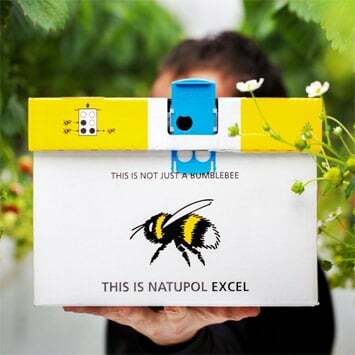 In third place was Natupol Excel – Bumble Bee Vision from Koppert Biological Systems from the Netherlands. This product acts as a navigation aid for greenhouse bees during the darker winter months and in artificial light, helping them find their way back to their hives and allowing them to put all their energy into the pollination of fruit and vegetable cultures. During the first two days of FRUIT LOGISTICA, trade visitors had the opportunity to cast their vote for one of the ten nominated innovations.